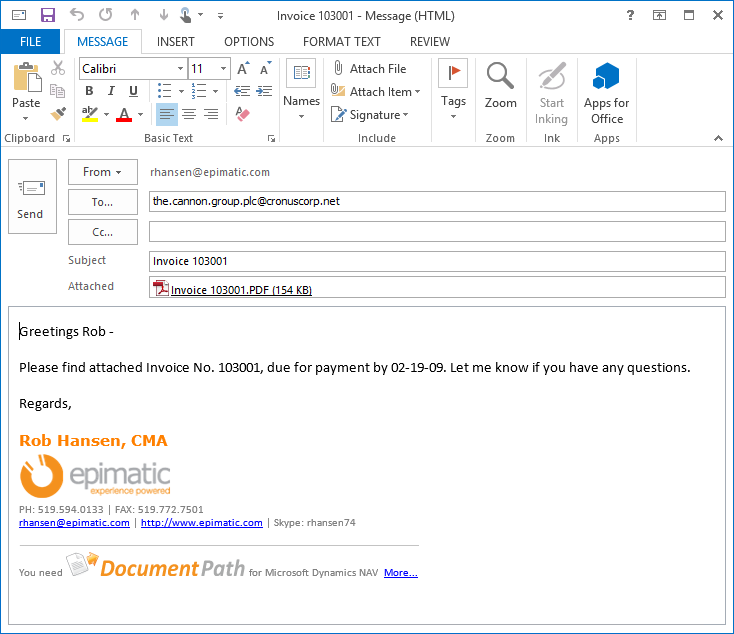 While DocumentPath’s core benefit is the automatic routing of documents to the right recipients, the productivity gains would be small if users still had to type a message every time. 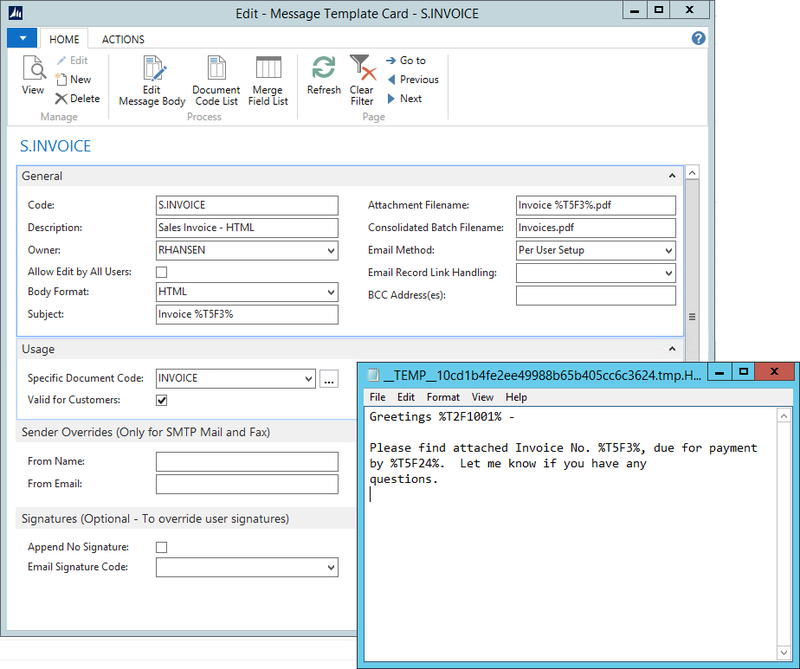 Message Templates can be used to define the content of outgoing messages to eliminate manual steps. Define subject lines, body text and additional attachments [More details…] so that documents can be sent with a couple clicks knowing a suitable message was generated. Once the template is defined, use DocumentPath’s send functions to generate ready-to-go emails with a couple clicks. No more typing, no more wasted time. 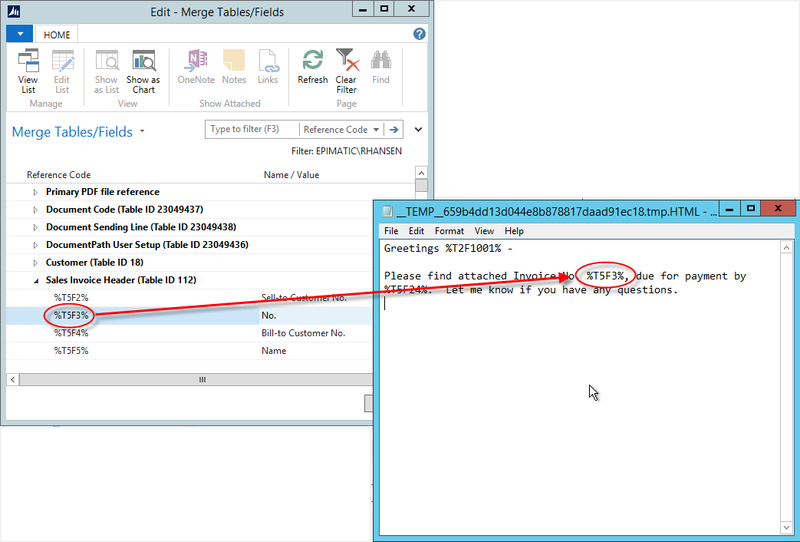 Create multiple templates for each document to serve different purposes. For example, a template can be created for re-sending unpaid invoices to inquire on the payment status. 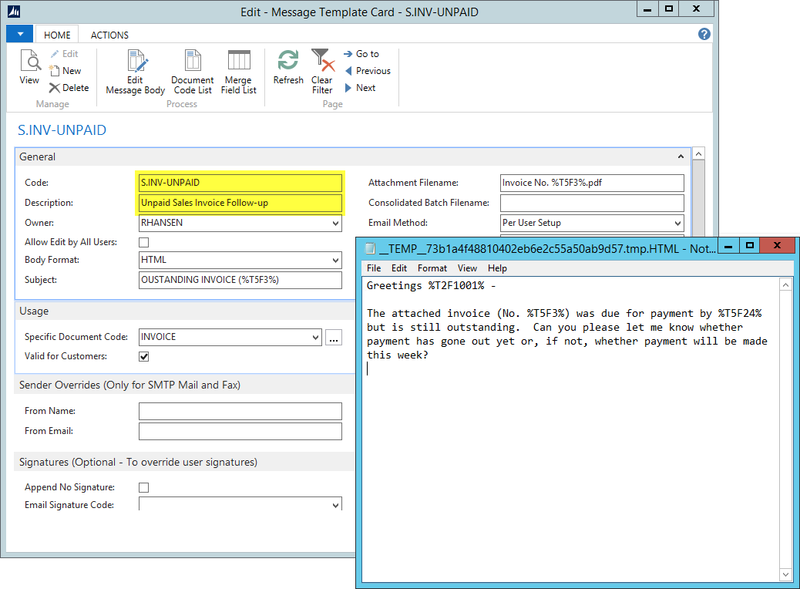 Establish a default template for the initial send, then override to the alternate template if desired at the time of sending. Again, it all comes down to automation and eliminating time spent typing up similar messages over and over.